Are You Ready to Verti–Go? 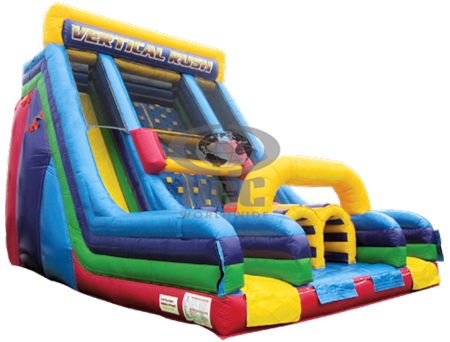 For thrill–seekers who are "up to the challenge", The Vertical Rush combines obstacles, a rock wall and dual slides for 22' of pure vertical excitement! Guaranteed to provide hours of fun for the guests at your event. Looking for Even More "Thrills 'N' Spills"? 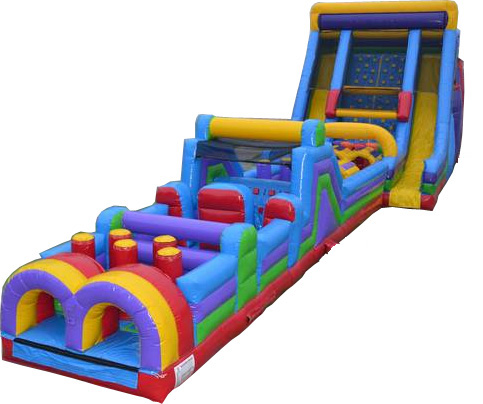 Rent The Vertical Rush along with either The 40' Obstacle Course or The Rock Climb Slide. They connect together for more extended fun! You can even connect together all three for 98' of non–stop inline action!